On this date in 1901, the man who eventually brought us Disneyland was born in Chicago. Now rare, there are a couple lav faucet designs which bring a bit of Walt's vision—pre-CGI, that is—into the home. 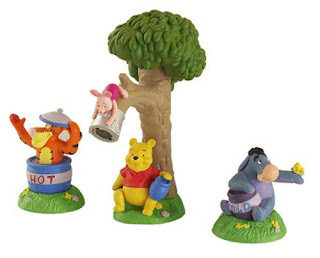 Pooh and friends make this wide-spread model visually charming as well as easy for little hands to operate, thanks to Tigger and Eyore striking friendly, lever-like poses. It's a small world, indeed.